German energy group E.ON said it had entered a strategic partnership with Nissan to explore business opportunities in the field of electric vehicle charging, storage solutions and vehicle-to-grid services, according to Reuters. The cooperation has already been started in Denmark and will be expanded to other European countries soon, said E.ON. E.ON and Nissan pool their international expertise in the field of electric mobility and distributed energy generation and storage. At the Geneva Motor Show Nissan and E.ON have agreed on a strategic partnership to explore opportunities on pilot activities and commercial offers related to electric vehicles charging, vehicle-to-grid services and grid integration, as well as decentralised energy generation and storage solutions. This partnership is delivering on Nissan’s commitment to develop a comprehensive electric ecosystem for both consumers and businesses as well as E.ON’s vision to setting the electric vehicle as part of the eMobility ecosystem. The partners have already started this cooperation in Denmark where a customer receives a complete package consisting of a charging station for their home and benefits from an energy flat rate to charge their Nissan EV. On this basis, the energy group is now intending to expand the program to other European countries in the near future to further support the sustainable electrification of mobility and home, according to E.ON. In addition, the partnership will leverage Nissan’s vehicle-to-grid infrastructure and advanced bidirectional charging technology to allow customers to optimize their energy use and costs. 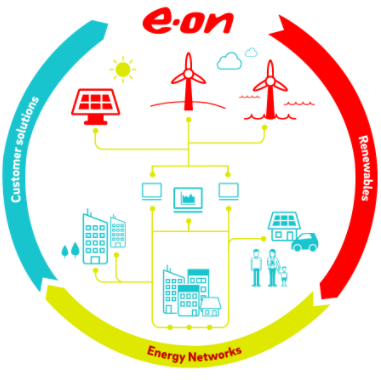 E.ON’s extensive experience in solar and storage solutions for home owners will allow the partners to offer renewable energy solutions to Nissan customers and optimize the electricity costs.